How Does A Mindfulness Program Support Employee Well-Being? Have you ever Googled the benefits of a mindfulness program in the workplace? Chances are, you found citations about reductions in stress, increases in focus and attention, improvements in health and increases in job satisfaction and employee engagement. (If you haven’t, see our compiled list at the end of the article). And you might wonder, if mindfulness can really do all that, could it be the miracle cure for all that ails us at work? Mindfulness is not a magic pill. Rather, it is an awareness, a focus on the present, a state of mind, and it takes time to cultivate this way of being. Yes, a breathing technique can help you center yourself in an acutely stressful situation, but if you only use it as a reaction to stress, you are not addressing the root of the issue -or- it can be very difficult to integrate into your workplace mindset. When you start to make mindfulness practice a part of your routine, and do it regularly even when you aren’t feeling stressed, a different thing can start to happen. It can help to keep your baseline stress levels lower, help you return more quickly to baseline after a stressful event, and even help you to respond more calmly during the event itself. Once your practice becomes routine, you will start to notice mindfulness showing up in your responses and interactions even without you forcing it to be there – pausing before you speak, really listening to what is being said, or taking a minute to re-gain your center after a challenging meeting. You might notice that you won’t have to remind yourself to be present as often, yet will start bringing yourself back to the present moment more often. A sign one of our participants made for her desk at work. Sound good? Getting started at work requires 2 important components. In thinking about making a program successful at work, consider how the culture might need to shift in order to respect and encourage mindfulness practice. With a workplace mindfulness program, you are supported by your bosses, your coworkers; you are building a space for this kind of engagement at work. You’re doing it routinely, and long enough to build it into a habit. In some ways, it’s akin to a group exercise class — it keeps you accountable to doing a practice consistently and building a community of others who are also doing it. Consider all the ways in which the organization can support the development of this skill, which requires more than a quick workshop or lunch & learn session. Building regular, routine practice opportunities supported by a credible program that has proven results can encourage buy-in and avoid the pitfall of a catchall fix. So, in the end, even though we talk about mindfulness here as a tool, we know it is not just the mindfulness practice that counts, it’s the practicing of mindfulness. While it’s worth noting the benefits found from studies of mindfulness programs below, it’s also important to remember that mindfulness is not a one-time cure-all, it’s a practice, and bringing it into the workplace requires serious institutional consideration/care and implementational support. 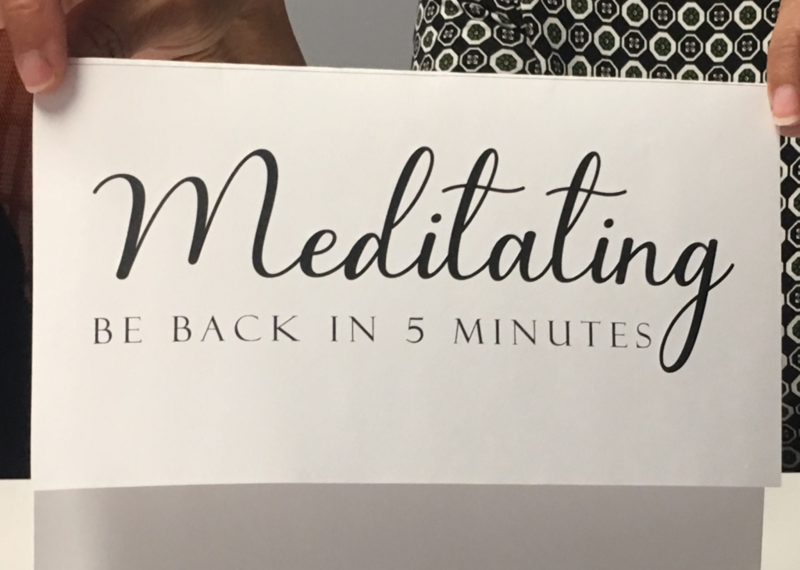 Looking to bring mindfulness to your workplace but aren’t sure where to start? Read “How to Decide on the Best Implementation Strategy for Your Workplace Mindfulness Initiative” or check out our website to find the right program for your business!